Mitsubishi is signaling a new era, and if you're considering a new SUV, it's worth your time to visit the Mitsubishi dealer and take a test drive. Mitsubishi is making news this year with a pair of SUVs that are worth your consideration. This week, we'll look at the all-new Eclipse Cross, and next week at the Plug-In Hybrid version of the established Outlander. The Eclipse Cross is a fairly conventional compact crossover, with a few notable features that set it apart from other options. 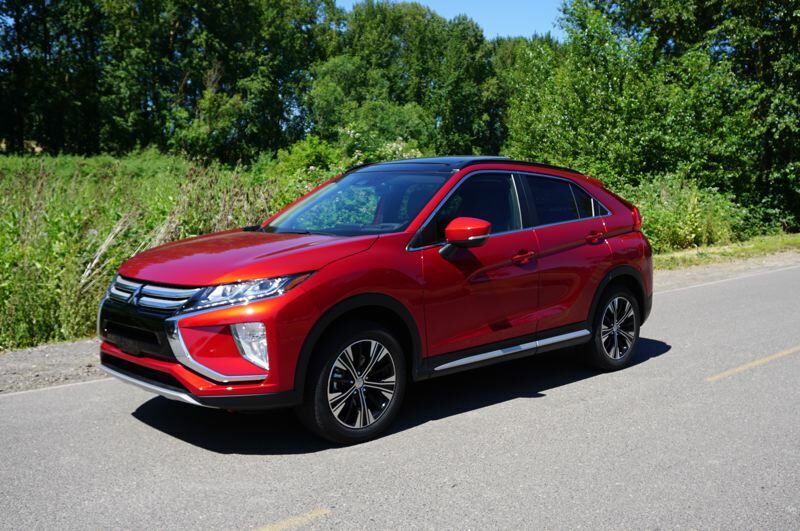 The first thing to know about the Eclipse Cross is that the 1.5-liter turbocharged engine is peppy and has no trouble pulling the 3,506-pound SUV around town or on the freeway. Mitsubishi has paired the engine with the continuously variable transmission developed by a company co-owned by Nissan, Mitsubishi, and Suzuki. I'm not generally a fan of CVTs, but this one is very effective at getting the most out of the engine, and doesn't display the "rubber-band drive" feeling that plagues other variable units. All-wheel-drive is available as an option. Inside, the Eclipse Cross has a nice, upscale interior and plenty of tech. 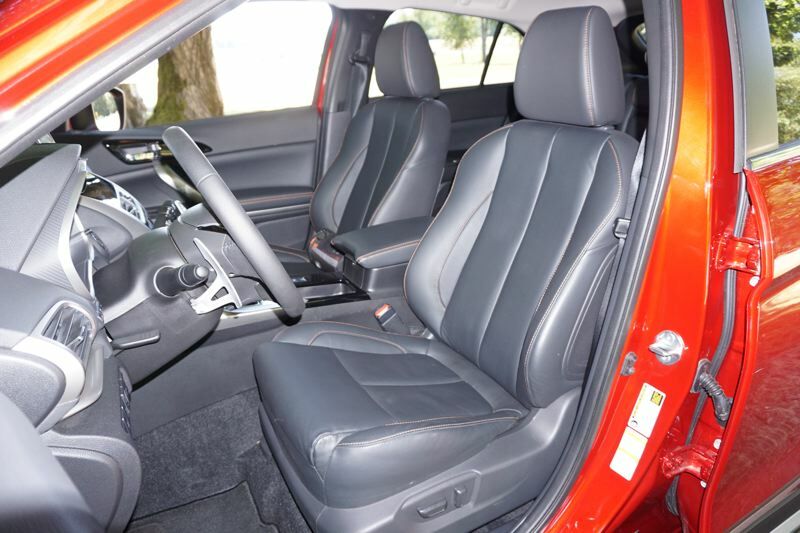 The test vehicle was made with the top SEL trim, which means good quality leather upholstery with heated front seats, seven-inch touchscreen display with an additional gesture touchpad control on the console, multi-view camera system, and a head-up display. The infotainment system supports both Android Auto and Apple CarPlay, and there's a nifty smartphone app that lets you remote-start the SUV to warm it up or cool it down before you get in. The test vehicle also had the Touring package, which got us a dual-pane panoramic sunroof, Rockford Fosgate stereo system, heated rear seats, and a heated steering wheel, among other things. The Touring package also includes adaptive cruise control and a host of advanced safety features like forward collision mitigation, lane departure warning, and automatic high beams. Other features like blind spot warning, rear cross traffic alert, and lane change assist are standard at the SEL level. The head-up display deserves some explanation, as it's a small screen that rises up out of the dash in front of the driver when you start up the Eclipse Cross. 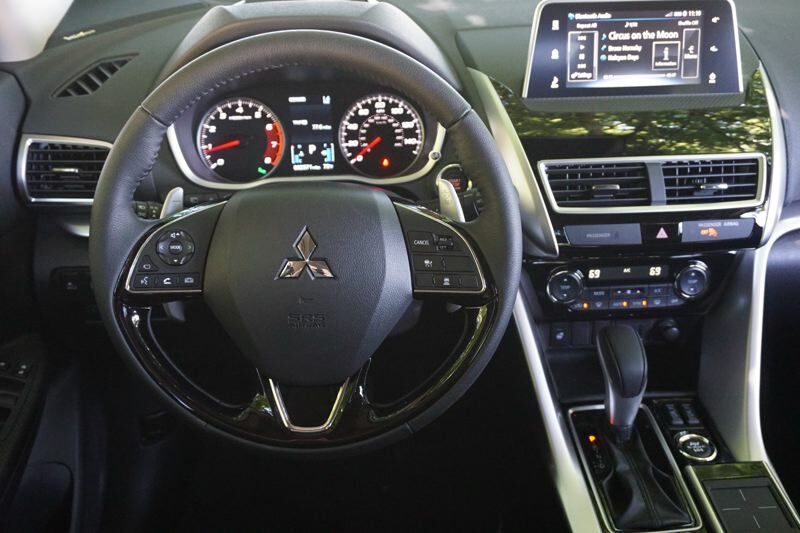 It displays information such as current speed, cruise control setting, driving warnings, and paddle shift "gear" position if you're using the paddles to control the CVT. The HUD system is standard on SEL models. On the road, the Eclipse Cross is a functional and pleasant vehicle to drive. 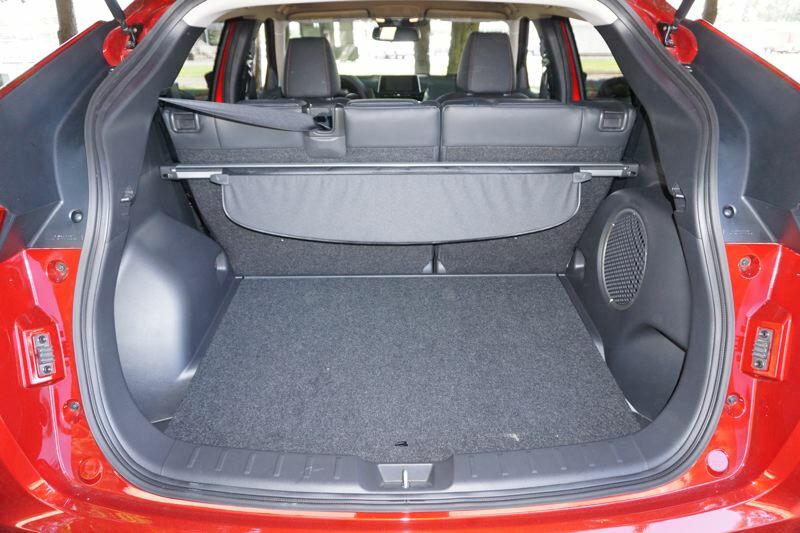 There's plenty of space in the back, with 22.6 cubic feet behind the rear seats and 48.9 cubic feet with the rear seats down. The Eclipse Cross has more than enough power, especially if you use the paddle shifters, and it corners well. Mitsubishi is signaling a new era, and if you're considering a new SUV, it's worth your time to visit the Mitsubishi dealer and take a test drive.